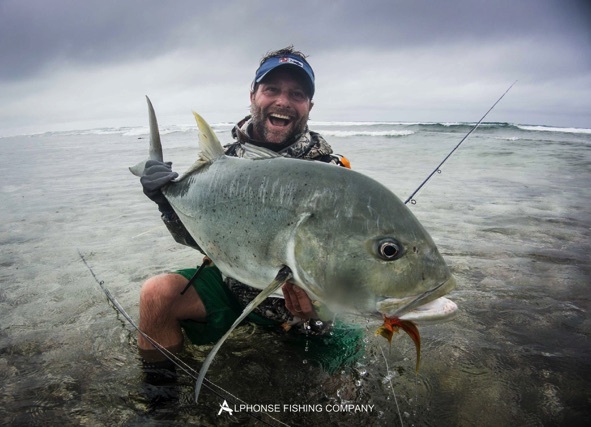 Our fifth week started and finished in the same fashion as most of the previous weeks so far this season, unseasonal cloudy weather, rain showers and a brisk wind continued to surround the Seychelles, enforcing that El Nino was here to stay. 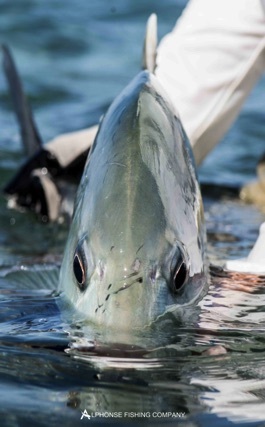 The water movements eased our guests into the week with slow neap tides and increasing in stature to the flood of a full moon spring tide on the closing day. 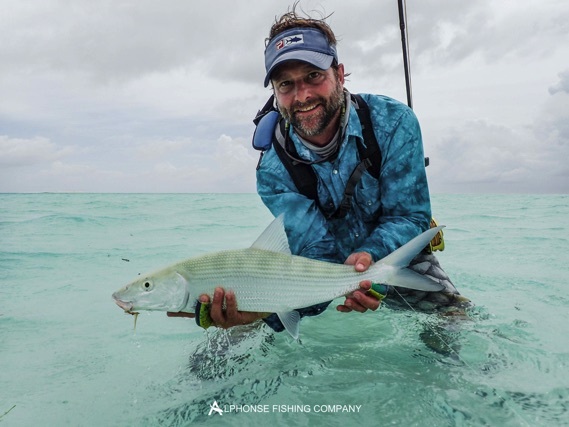 The group this weeks comprised of some seasoned saltwater anglers that were ready to target the variety of species on offer both on the flats and offshore. 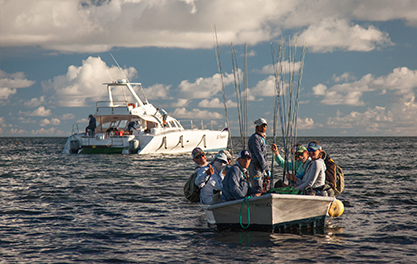 The bonefishing was spectacular as it always is with 509 landed for the week. 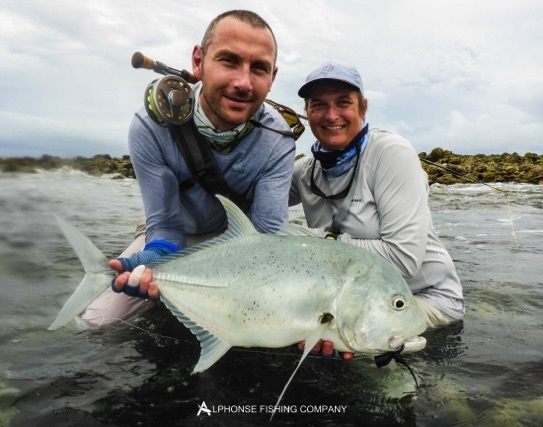 There were eight GT’s landed in the 87 to 93 cm bracket with the 2 biggest measuring 93 cm, which were caught by Chantal Chone and Tom Evans. 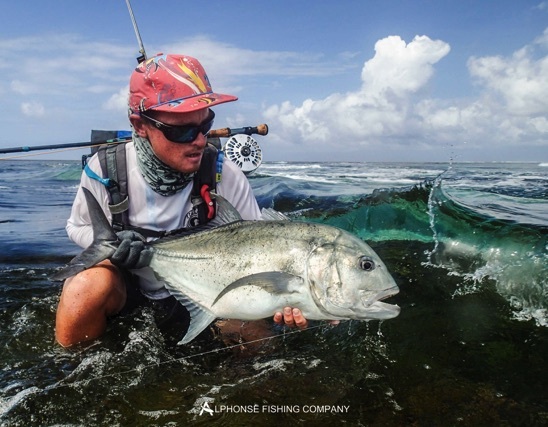 The triggers were being trickier than ever with only two landed by Klaus Vander and Zac Barret. 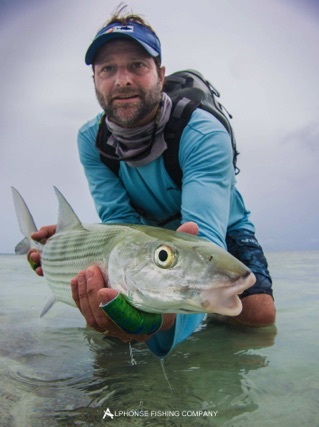 Klaus was rewarded for his accomplished angling skills when he landed a triggerfish, GT and a bonefish to achieve a “flats grand slam”. 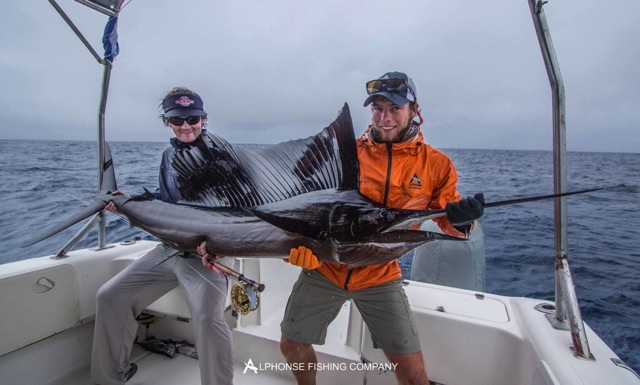 This seasons offshore flyfishing for sailfish and wahoo has exceeded most of our previous seasons, with incredible numbers in both species landed on a weekly basis. 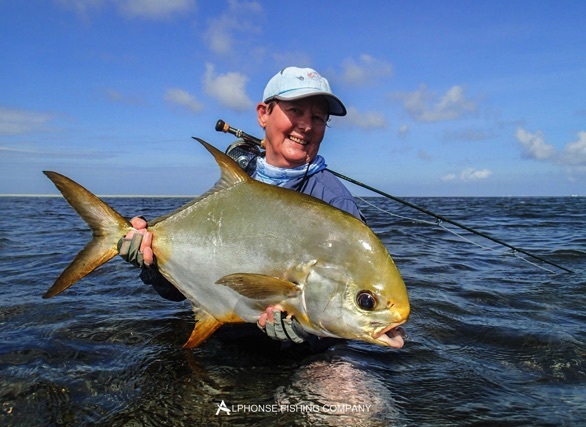 The one species which has surpassed all previous seasons is the Indo-Pacific permit, which hit a tally of 9 in 5 weeks when Chantal Chone landed her second big permit in 2 consecutive years. 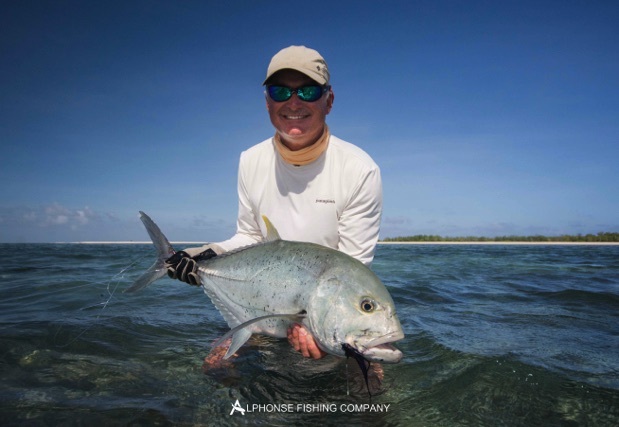 Once again Alphonse and St Francois produces amazing catches. 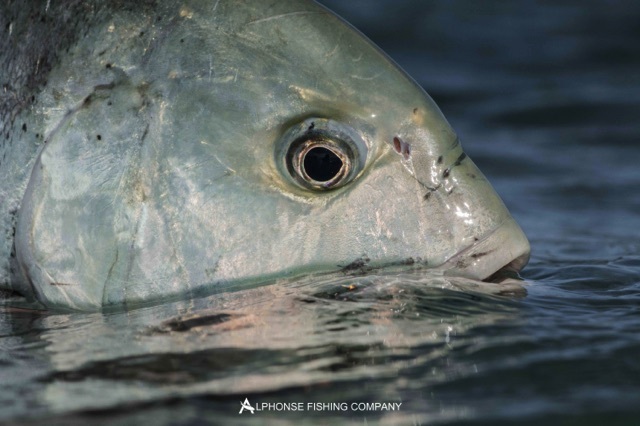 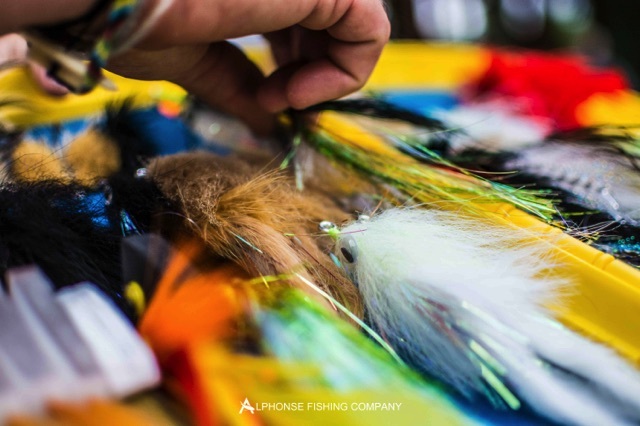 Tight lines from the Alphonse team!